Click the pic for a really cool video. Start of July 2017 The tail surfaces have warped so bad as to be useless. I’ve had hundreds of foam airplanes, I’ve never seen anything like this. The original tail was cut off, a start of patching on a used Fun Cub tail was begun. This foam was too old to justify the effort expended. With a budget in the hundred dollars for new outlay range (I have some stuff already) a used, complete, Multiplex Gemini (evidently ready to fly, just needed a battery) changed hands for three Andrew Jacksons the second week of March year 2017. 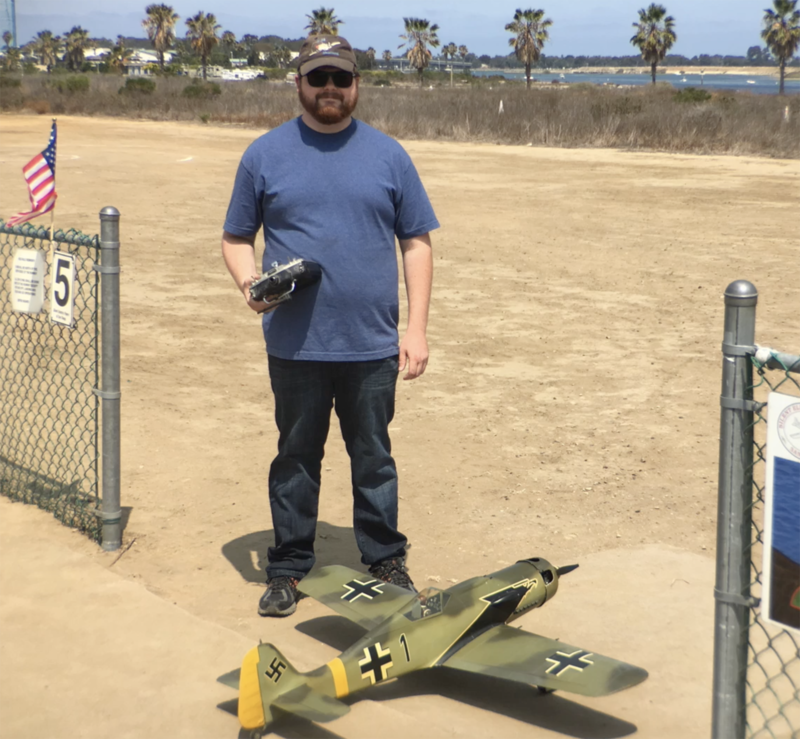 Despite flying RC in San Diego County (CA) since 1995 I’d never been to the Weed Whackers flying field in Lakeside CA (once country, now metropolitan San Diego County) and felt the need for a new project, without actually spending much. My previous attempt at a general purpose RC airplane for use the weeks and months on end in my camper, bought on a whim as Hobby People went out of business (The DT-760) is chronicled in a previous SEFSD article. I threw the DT-760 out, every bit of it. I did learn though, from other SEFSD club members, that the little connectors for power it came with were undersized, cutting back the performance by a fifth or more. I paid the Editor (club members for twenty years us) off in lobster recently. From watching others fly, this improperly set up foamie is the rule, not the exception. This used Gemini must have flown (sort of) but, as purchased it must have flown poorly. Follow along, in story form as the mistakes are corrected (the original motor thrown out, servo linkage so tight it wrecked a servo, replace both (poorly mounted) wing servos, improvements made, reinforce the whole airframe (making it a Reinforced-Gemini) motor testing with different batteries and motor controllers etc. Different than a vast majority of what is in print, the outcome is not pre-assumed to be “everything went great on the first try” as a used, complete, known by type from hundreds of personal flights with having owned and flow four of this type, fun to fly RC Biplane in impact resisting foam with electric propulsion, is reworked by an almost, but not quite, broke, new owner. But I’m warning ya, I can make a fool out of better financed RC pilots with my stuff.